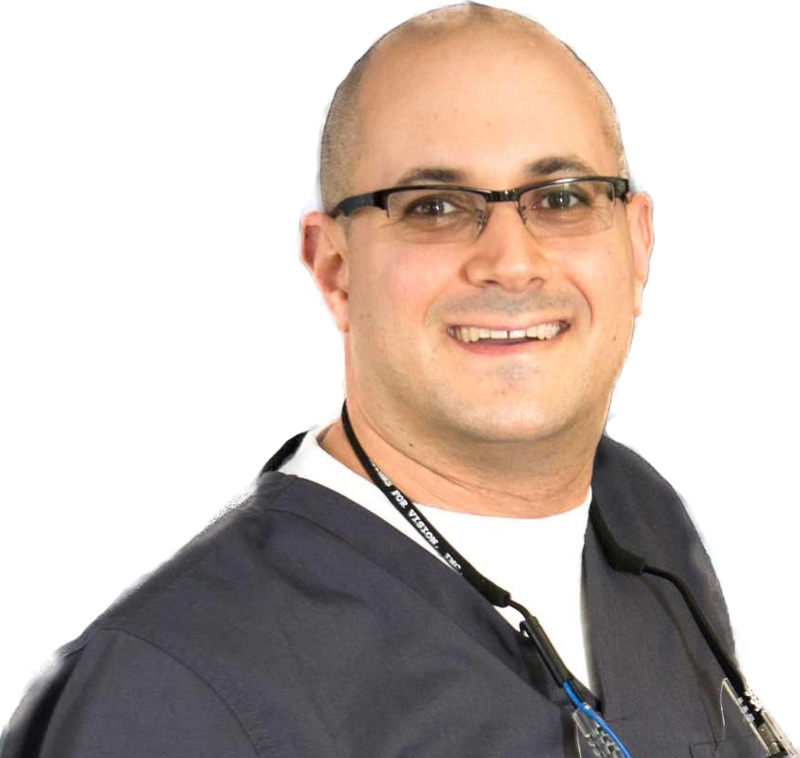 Eric graduated school in 1998 and immersed himself in the exciting world of dentistry, working as a full-time dental assistant and learning one-on-one from many outstanding dental health professionals along the way. These early experiences in dentistry set the hook, and from there, Eric attended the University of Maryland, Baltimore College of Dental Surgery, and graduated in 2003 — a truly great day. The newly minted “Dr. Rabovsky” worked in several different dental offices after graduation, gaining experience and forming his own identity as a dentist who favored a minimally invasive approach to drilling. At first, Eric says he was frustrated practicing with the aggressive nature of conventional dentistry. Over time, he was able to expertly hone his abilities and develop techniques designed to minimize the amount of drilling that’s necessary for some dental procedures. This was a huge advancement for him and a wonderful advantage for Eric’s growing family of patients. The original Crownsville Dental opened in 2007, marking the beginning of what Eric calls an “amazing adventure,” allowing him the freedom to practice dentistry how he sees fit in a state-of-the-art office that he personally had a hand in designing. Over the next seven years, Eric, alongside his wife Jodi, created the well-known identity of the wonderful dental practice they call home today. Eric says one of his greatest feelings is having the ability to recognize and greet patients when he sees them immersed in their lives outside the office. Fast forward to 2014 — the year of one of the greatest breakthroughs for the practice. At the beginning of the year, Eric added the efficient and highly effective CEREC 3D technology, allowing him to exercise total control over the dental procedures he performs. Patients benefit because treatments are dramatically less invasive. Just a few years later, Eric and Jodi are still going strong. They continue to grow and enhance the variety of ways they can help patients of all ages — including injectables and dermal fillers. Eric is also certified in laser dentistry, Invisalign, and oral sedation techniques. 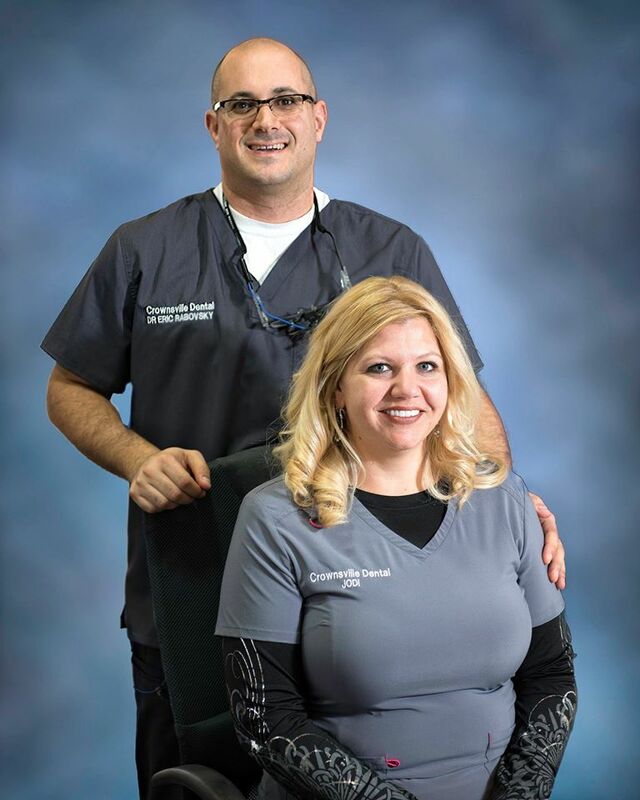 Because of their completely unique mix of services they have available to patients, Eric and Jodi eventually changed the name of the practice to Crownsville Dental & Wellness Center. Eric has completed numerous hours of continuing education at the Scottsdale Institute. Both he and Jodi attend many continuing education classes every year. They enjoy learning about new technologies and techniques that they can add to their repertoire to better serve their patients and continue to be one of the best dental offices in the industry! When not concentrating on dentistry, Eric enjoys spending time with his family and friends. He has developed many hobbies over the years, including a love of working on Jodi’s Jeep and a budding interest in being a part-time boat mechanic. (Just ask him!) Living nearby in Edgewater, Eric and family enjoy all of the wonderful activities Anne Arundel County has to offer.